From the 25-27 July the BRICS heads of state will be meeting at the BRICS Summit in Johannesburg. 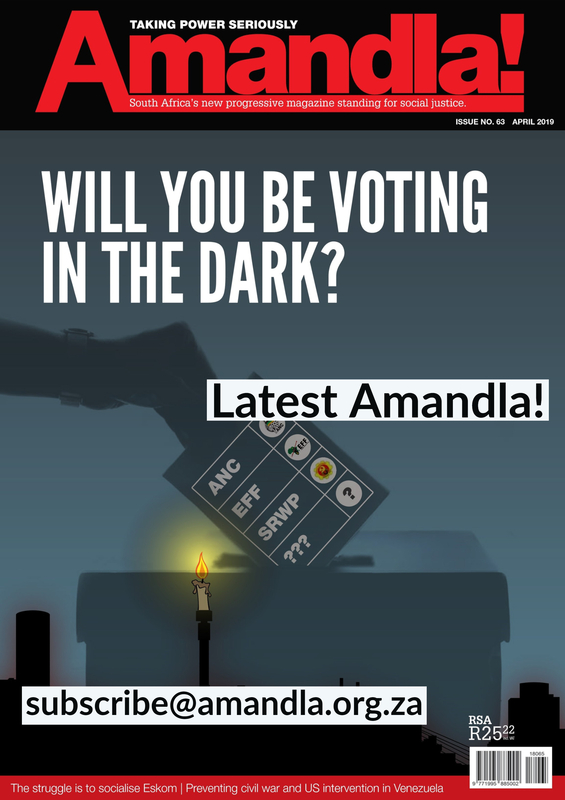 Ahead of the summit Patrick Bond will give an input at the next Amandla Forum on what he thinks we can expect to come out of the BRICS summit. 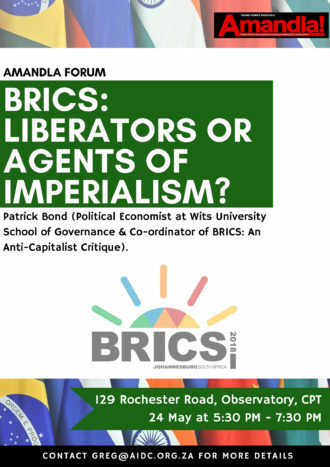 Join us as we discuss whether BRICS is a liberator or an agent of imperialism. 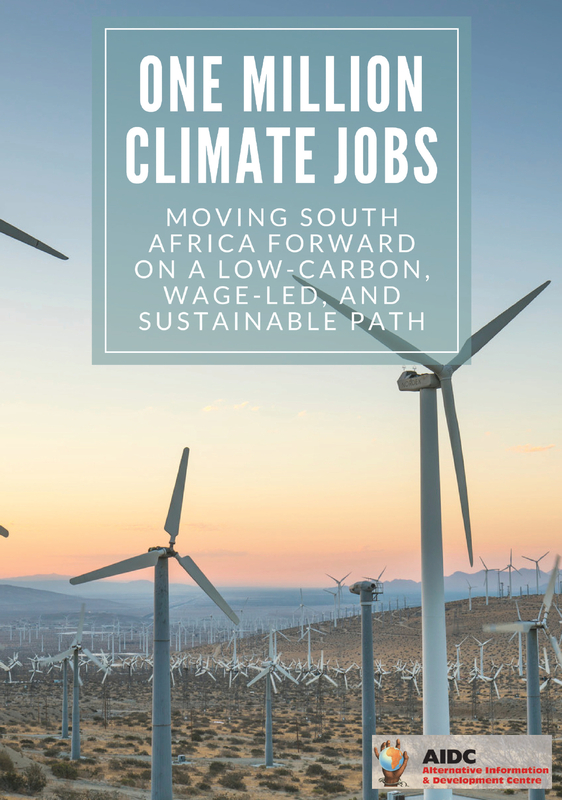 ‹ Where to from here for Eskom?